It is true that a sustained level of daily activity such as bicycle touring does do some good for cardiovascular health, however, some bicycle tourists lack or have lost their upper and core body strength. I no longer have my wood chopping arms or a natural six pack tummy acquired not from a gym but from hours of chopping wood and walking in the snow back in my prior life in Alaska. When the world over says that I must be super fit I typically say ‘Fit? Fit for the mental hospital and that’s about it’, or ‘no man, I am just trying to stay out of jail’. I have met people who have grown bellies from touring and others who have slimed done their waist lines. Like everything in life, nutrition and what is available to eat on tour are big factors. 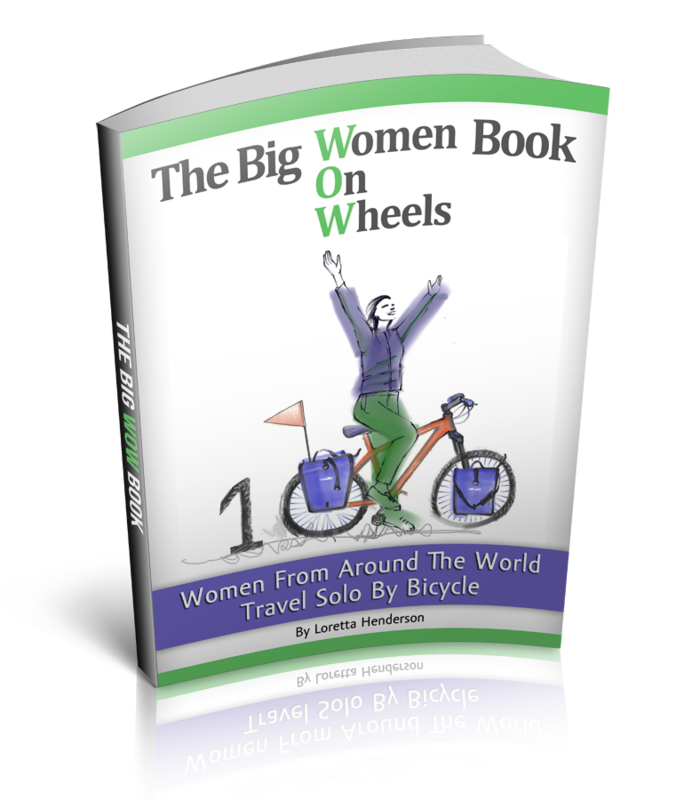 I and a few other men and WOW (Women On Wheels) had zero cycling experience prior to a world tour. Granted when I left the bicycle shop in England my throbbing neck and creaking Achilles tendons might have been an issue through Wales to Ireland if I hadn’t been grinning so hard over the handle bars of finally starting my long dreamed of adventure. 18 countries later, I am still grinning and learning as I go. Camping and sleeping for free cuts back on costs and I have spent many a day spending nothing more then $2-4 (USD) on food. Biciclown who has been on the road since 2004 usually spends less then 6 (EU) no matter where he is touring. Travelling Two is a great website highlighting all sorts of folks that have toured continents such as Africa and S. America for 10,000 (EU) for a couple’s tour. World Biking is another huge resource for cycle tourists, these two have been touring since 2006 on a low budget. Touring for cheap ($7usd a day) in SE Asia is very popular. The Karakorum Highway, Pakistan ($4usd a day) is my favorite place for glaciers that touch the pedals, beautiful free camping and wonderful people. Pakistan is even cheaper than India ($6usd a day). Warmshowers is a website dedicated to finding free warm showers for cyclists; it’s full of bicycle touring on the cheap supporters. Coughsurfing is another resource for meeting locals, sleeping for free and budget bicycle touring. Camping and sleeping for free inside can be pretty easy, the world over seems to understand bicycle touring. Many people get off the bus and get a $100 bicycle at a local market and pedal on. Central, SE Asia and India are great for that. I have seen backpacks strapped to pieces of wood for 1000’s of KMS and handmade panniers that have gone the distance. Couples touring is less costly then solo touring but even than 3-8 USD is less then you might spend on a mug of beer or coffee back home. An expensive bicycle might insure less time spent on repairs but the memories acquired and the smiles of a dream in action will surely curb some of the worries of saving cash and putting off the dream. If someone decided to write a bongs and bicycles article I am fairly certain they would find a contributor. Tobacco can be found in some panniers and there are plenty of WOW (women on wheels) and men who enjoy a good drink. Dervla Murphy and Helen Lloyd who counted miles and beers throughout Africa come to mind. Reality: Bicycle Tourists come in all sizes and personality types, say hello to one today! Good information to know! I always thought bicycle tours were pretty pricey but I guess it all depends on what you want out of a tour.